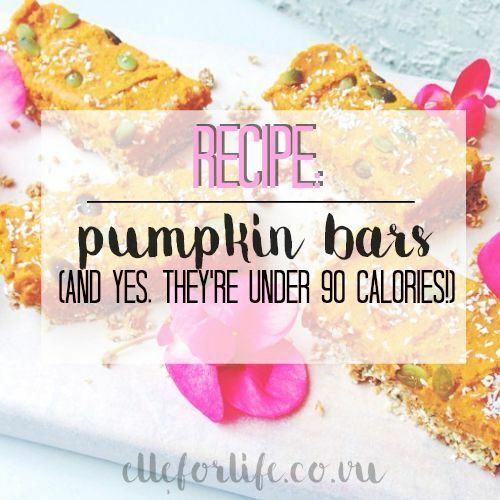 Recipe: Pumpkin Spice Bars! And Yes, They’re Fat Free! Hello everyone! It’s that time again, where I’m constantly craving pumpkin-anything, begging my parents to take me apple picking so I can have warm cider donuts and take artsy instagram pictures, stocking up on cat sweaters even though I already have more than the average sane person…AKA AUTUMN! As you guys probably have realized, I am OBSESSED with THE fall time, and especially here in Boston where the trees are simply magical, you can’T exactly blame me! But today, when I was scrolling through some autumn inspired Pinterest boards (don’t forget, you can find me on Pinterest here!) I decided “Why only have pumpkin spice lattes? What about brownies, or cakes, or PUMPKIN BARS?” So after some experimentation, quite a lot of spoonlicking and surfing the internet, I found this absolutely PERFECT recipe, that not only is fat-free, only 88 calories and has 0 grams of sugar (depending on what sugar you use), I knew I had to make a batch and share it with you guys! Using an electric mixer at medium speed, combine the eggs, sugar, oil and pumpkin until light and fluffy. Stir together the flour, baking powder, cinnamon, salt and baking soda. Add the dry ingredients to the pumpkin mixture and mix at low speed until thoroughly combined and the batter is smooth. Spread the batter into a greased 13 by 10-inch baking pan. Bake for 30 minutes. Let cool completely before frosting. Cut into bars. To make the icing: Combine the cream cheese and butter in a medium bowl with an electric mixer until smooth. Add the sugar and mix at low speed until combined. Stir in the vanilla and mix again. 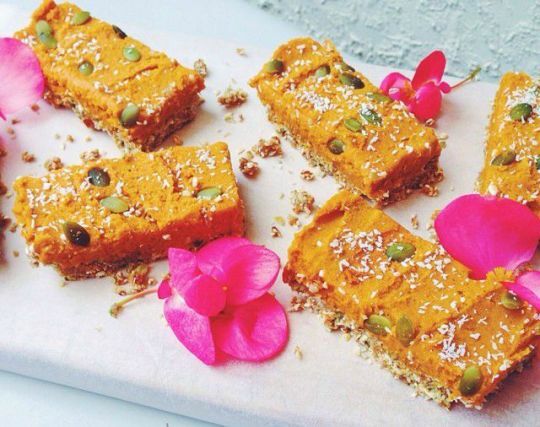 Spread on cooled pumpkin bars.